Sometimes you just have to stare at the wall. That how I feel right now. Like staring at a wall and letting my mind wander. I haven't had much of a chance to just sit back and drift. I don't do enough of it. For some reason, it feels like we (the human race) are reaching a point where "doing nothing" (a term often used to describe what writers do during the day) will be a rare action. There's always something to do, something to read, something to update, something to tweet, something to watch, something to listen to. Those quiet moments, when the imagination is let loose, when inspiration makes its way back to you, when dreams fill your mind and soul and you discover the solutions you've been looking for and the questions you never thought to ask. I think I need to take more time for this and probably will now that I've started prep work on Dig. 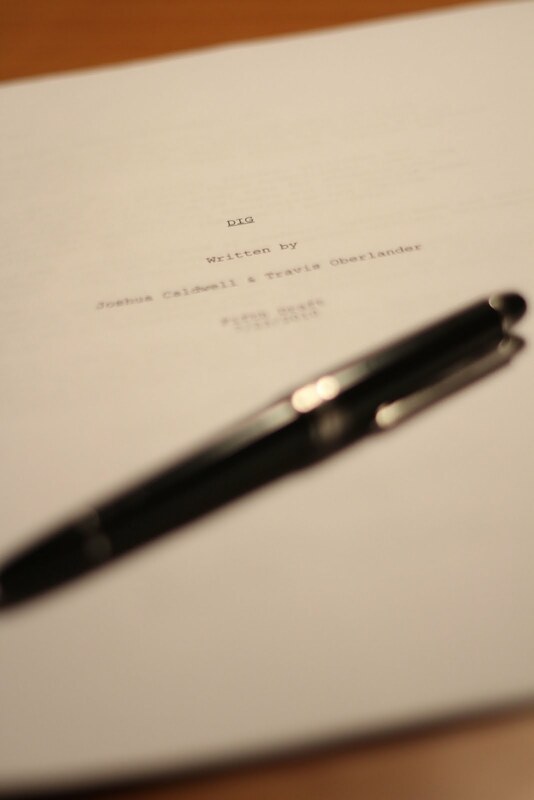 About two weeks ago, Travis and I finished what we felt was a very strong draft of Dig. The manager read it, agreed. Some others have read it and thought it was very solid. While we do plan on continuing to re-write it, we nonetheless felt that this was more than an adequate draft to prep off of. The setup is simple: two men, two locations. That frame work isn't going to change. The dialogue, character development, etc, is something that continually evolves, changes, and grows as you revisit it, as cast comes on board, and so on. That, we will come back to and adjust as we read and re-read. Don't have much more to update at the moment. We're starting the process of raising funds. I've got a meeting with my producer next week and we're going to start talking budget and casting. Ideally, we're looking to shoot this in November and things will start ramping up very soon.